Western Cape is a province in the south west of South Africa. The capital is Cape Town. 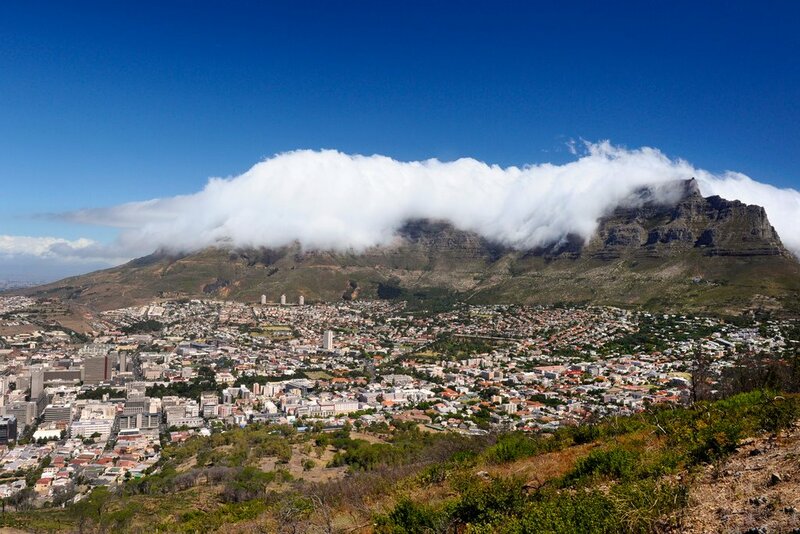 Prior to 1994, the region that now forms the Western Cape was part of the much larger and now defunct ,Cape Province. Prior to the formation of the Union of South Africa in 1910, it was called the Cape Colony . The Western Cape is roughly L-shaped, extending north and east from the Cape of Good Hope, the southwestern corner of South Africa. It stretches about 400 kilometres (250 mi) northwards along the Atlantic coast and about 500 kilometres (300 mi) eastwards along the Indian Ocean coast. It is bordered on the north by the Northern Cape and on the east by the Eastern Cape. The total land area of the province is 129,462 square kilometres (49,986 sq mi),about 10.6% of the country’s total. It is roughly the size of England or the US state of Louisiana.The Breede, Berg and Olifants Rivers are major rivers of the province. 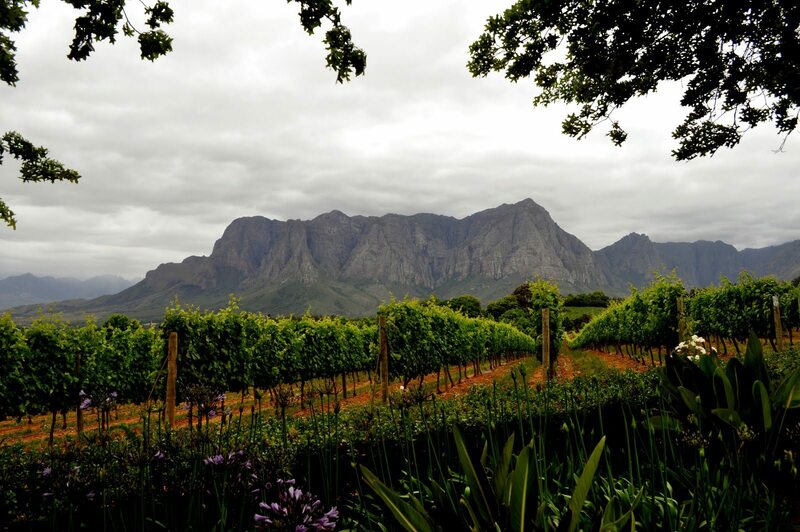 The capital is Cape Town and other major cities include Stellenbosch, Worcester, Paarl, and George. The Garden Route and the Overberg are popular coastal tourism areas. 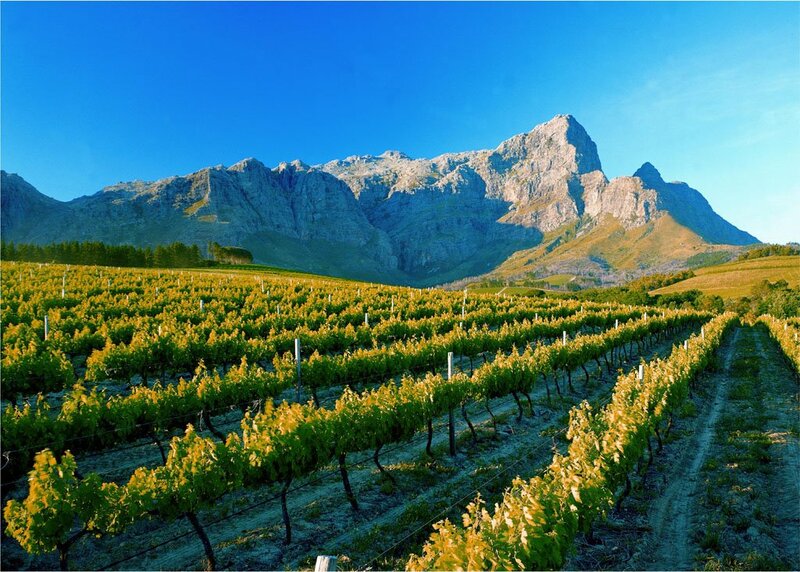 The Western Cape is exceptionally topographically diverse. Most of the province falls within the Cape Fold Belt, a range of sandstone folded mountains of Permian to Carboniferous age that range in height from 1000m to 2300m. The valleys between ranges are generally very fertile and contains alluvial loamy to clay soils.The far interior forms part of the Karoo Basin and is generally arid and hilly with a sharp escarpment in the north. Coastal areas range from sandy between capes, to rocky to steep and mountainous in places. The Western Cape is also the southernmost region of the African continent with Cape Agulhas as its southernmost point, only 3800 km from the Antarctic coastline. Vegetation is also extremely diverse, with one of the world's seven floral kingdoms almost exclusively endemic to the province, namely the Cape Floral Kingdom, most of which is covered by Fynbos (Afrikaans: Fine Bush). 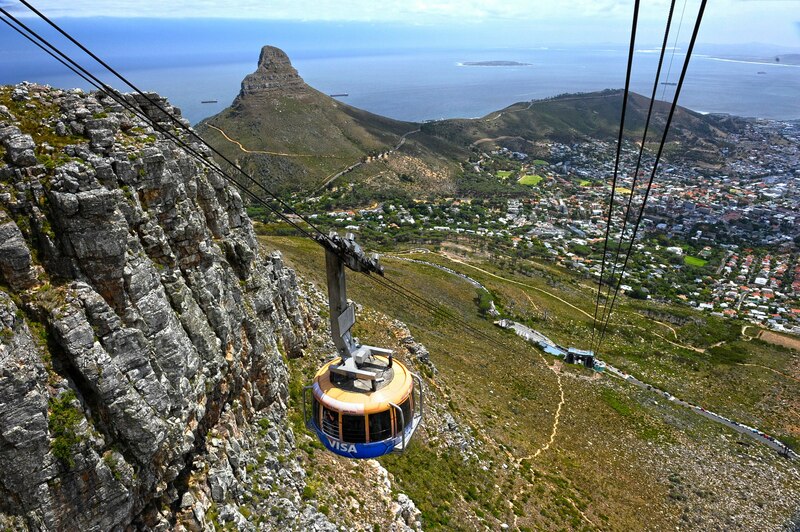 It is extremely rich in species diversity, with more plant species occurring on Table Mountain than the entire United Kingdom. It is characterised by various types of shrubs, thousands of flowering plant species and some small trees.The arid interior is dominated by Karoo drought-resistant shrubbery. The West Coast and Little Karoo are semi-arid regions and are typified by many species of succulents and drought-resistant shrubs and acacia trees. The Garden Route is extremely lush, with temperate rainforest (or Afromontane Forest) covering many areas adjacent to the coast and along the mountain ranges. Typical species are hardwoods of exceptional height, such as Yellowwood, Stinkwood and Ironwood trees. The Western Cape is also diverse climatologically, with many distinct micro- and macroclimates created by the varied topography and the influence of both the Indian warm water and Atlantic cold water oceans, thus climatic statistics can vary greatly over short distances. Most of the province is considered to have a Mediterranean climate with cool, wet winters and warm, dry summers. The interior Karoo has a semi-arid climate with cold, frosty winters and hot summers with occasional thunderstorms. The Garden Route and the Overberg on the south coast have a maritime climate with cool, moist winters and mild, moist summers. Mossel Bay in the Garden Route is considered to have the second mildest climate worldwide after Hawaii.Thunderstorms are generally rare in the province, except in the Karoo interior, with most precipitation being of a frontal or orographic nature. Extremes of heat and cold are common inland, but rare near the coast. Snow is a common winter occurrence on the higher lying ground, however frost is relatively rare in coastal areas and many of the heavily cultivated valleys. The dependency of the Prince Edward Islands are subantarctic islands, which experience year-round cool to cold temperatures with high precipitation and little annual deviation on both accounts. Marion Island Prince Edward Group averages. In 1994, at the introduction of the Interim Constitution and the first non-racial election, South Africa's original provinces and bantustans were abolished and nine new provinces were established. The former Cape Province was divided into the Western Cape, Northern Cape, Eastern Cape and part of North West. In the 1994 election the Western Cape was one of two provinces that did not elect an African National Congress (ANC) provincial government (the other being KwaZulu-Natal). The National Party (NP) won 53% of the votes and 23 seats in the 42-seat provincial legislature, and Hernus Kriel, a former Minister of Law and Order, was elected Premier. He resigned in 1998 and was replaced by Gerald Morkel. The 1999 election marked the beginning of a period of great turbulence in Western Cape politics. No party achieved an absolute majority in the provincial parliament, as the ANC won 18 seats while the New National Party (NNP), successor to the NP, won 17. The NNP went into coalition with the Democratic Party (DP), which won 5 seats, to form a government, and Morkel remained Premier. In 2000 the DP and the NNP formalized their coalition by forming the Democratic Alliance (DA). In 2001, however, the NNP broke with the DA over the removal of Peter Marais from office as Mayor of Cape Town by DA leader Tony Leon. The NNP instead went into coalition with the ANC; Gerald Morkel, who was opposed to the split, resigned as Premier and was replaced by Peter Marais. In 2002 Marais resigned as Premier due to a sexual harassment scandal, and was replaced by NNP leader Marthinus van Schalkwyk. During the 2003 floor-crossing period four members of the provincial parliament crossed to the ANC, giving it an absolute majority of 22 seats in the 42-seat house. However, the ANC remained in coalition with the NNP and van Schalkwyk remained as Premier. In the 2004 election there was again no absolute winner in the provincial parliament; this time the ANC won 19 seats, the DA won 12, and the NNP won 5. The ANC-NNP coalition continued in power, but van Schalkwyk took up a ministerial post in the national cabinet and was replaced as Premier by the ANC's Ebrahim Rasool. The NNP was finally dissolved after the 2005 floor-crossing period and its members joined the ANC, again giving that party an absolute majority of 24 seats. In the 2006 floor-crossing period the ANC gained a further three members of the provincial parliament. In 2008 Rasool resigned as Premier due to internal party politics, and was replaced by Lynne Brown. The 2009 election marked a significant change in Western Cape politics, as the Democratic Alliance won 51% of the votes and an absolute majority of 22 seats in the provincial parliament, while the ANC won 14 seats with 32% of the vote. The DA leader Helen Zille was elected Premier. In 2010 the Independent Democrats, which had won 3 seats with 5% of the vote, merged with the DA. 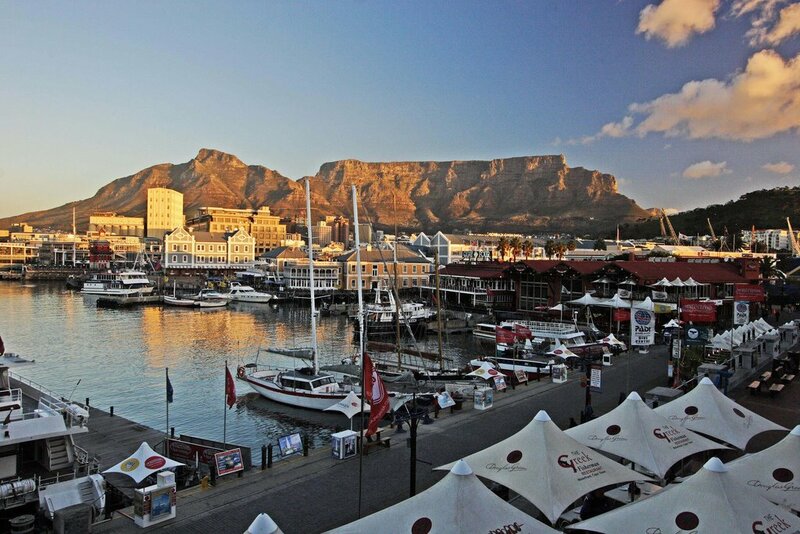 The capital of the Western Cape is the City of Cape Town. The Premier of the Western Cape is Helen Zille while the Director-General of the provincial administration is Virginia Petersen.The Constitution of the Western Cape was adopted in 1998 and is published in the official languages of the province: Afrikaans, English and Xhosa.The Western Cape Provincial Parliament is responsible for creating laws within its responsibilities as set out by the South African Constitution. Some of the issues dealt with cover agriculture, education, environment, health services, housing, language policies, tourism, trade, and welfare. 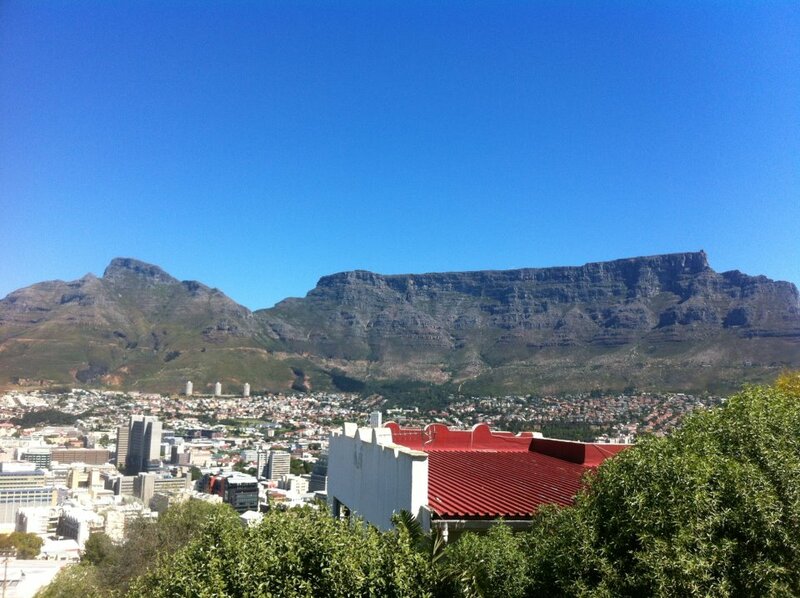 It is housed in Cape Town and has a total of 42 members. The Fourth Provincial Parliament was elected in the election of 22 April 2009; 22 seats are held by the Democratic Alliance, 14 by the African National Congress, 3 by the Congress of the People, 2 by the Independent Democrats, and 1 by the African Christian Democratic Party. 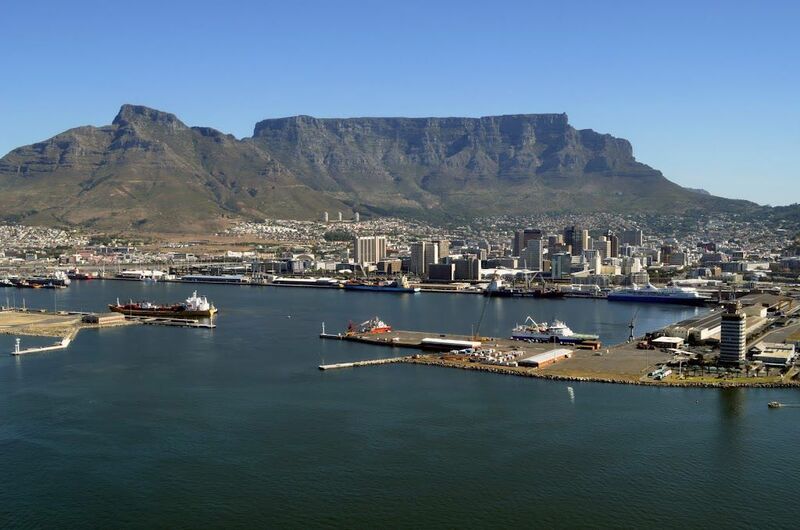 The Western Cape's total GDP for 2008 was R268.26bn, making the province the joint second largest contributor to the country’s total GDP, at 14.3%. It also has one of the fastest growing economies in the country, growing at 4% in 2008 and is expected to grow by 3.2% in 2011.At 19.7% the province has a substantially lower unemployment rate than the national average standing at 23.2% in 2009.The province's Gini coefficient of 0.63 is lower than South Africa's Gini coefficient of 0.7 making it more equal then the rest of the country whilst still being extremely high and unequal by international standards. 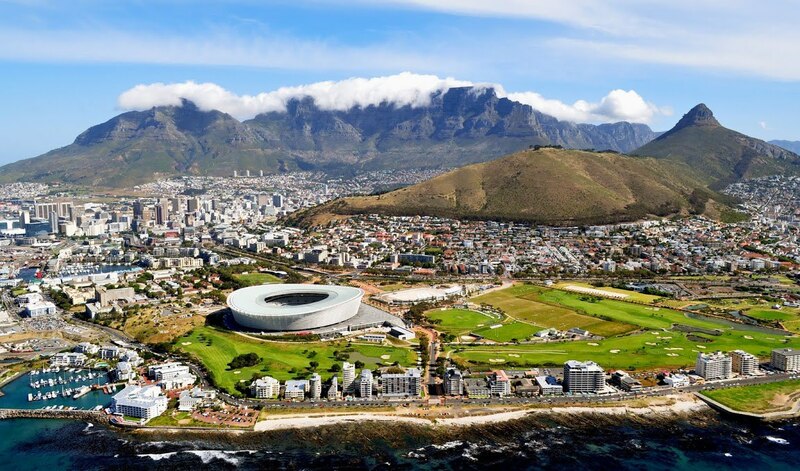 The Western Cape's Human Development Index is the highest in South Africa at 0.7708 compared to the South African average of 0.6675 in 2003. 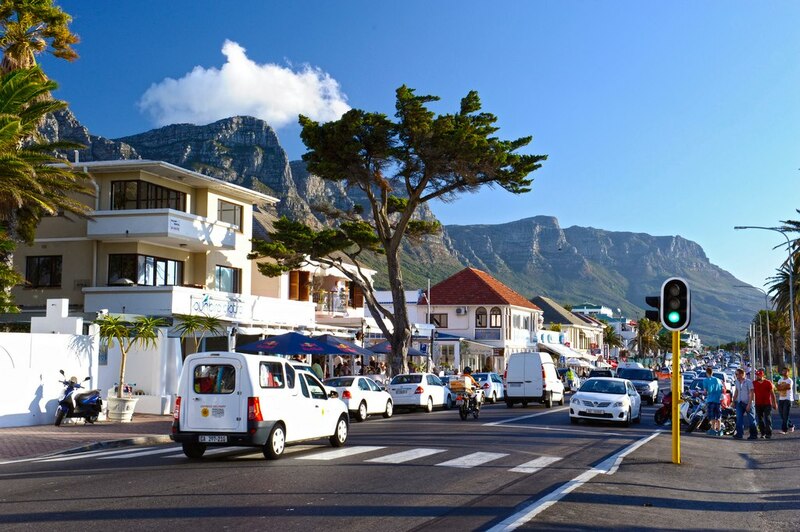 The biggest sector in the Western Cape's economy is the financial, business services and realestate sectors contributing approximately R77 billion in 2008. Manufacturing was the second largest contributor valued at R43.7 billion in 2008 with the agricultural sector being th fastest growing at 10.6% in the same year. High-tech industries, international call centres, fashion design, advertising and TV production are niche industries rapidly gaining in importance.The city of Cape Town is ranked as the most entrepreneurial city in South Africa with Early-Stage Entrepreneurial Activity being 190% greater than South Africa’s national average. 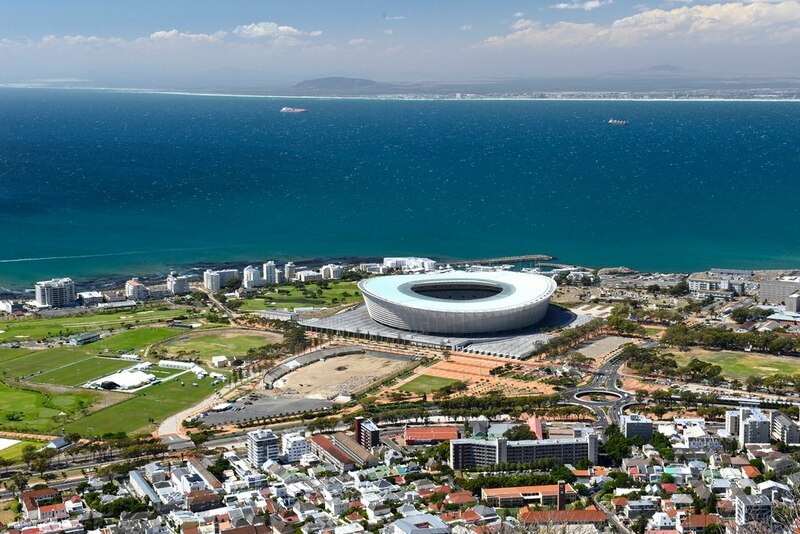 The 2011 Census recorded the population of the Western Cape as 5,822,734 people living in 1,634,000 households.As the province covers an area of 129,462 square kilometres (49,986 sq mi),the population density was 45.0 inhabitants per square kilometre (117 /sq mi) and the household density 12.6 per square kilometre (33 /sq mi). 2.7% of residents aged 20 and over have received no schooling, 10.7% have had only some primary, 5.6% have completed primary school but gone no further, 38.1% have had some secondary education without finishing Grade 12, 28.1% have finished Grade 12 but gone no further, and 14.4% have higher education beyond the secondary level. Overall, 42.5% of residents have completed high school.89.6% of households in the province have a flush toilet and 89.9% have refuse removed by the local authority at least once a week.75.1% of households have piped tap water inside the dwelling, while a further 13.3% have piped water on their property; 10.7% receive piped water at a community tap, while 0.9% have no access to piped water.86.9% of households use electricity for cooking, and 93.4% use it for lighting. 88.9% of households have a cellphone and 30.8% have a landline telephone, while 85.5% own a television, 80.5% own a refrigerator, and 34.4% own a computer. 43.7% of households have access to the Internet.